Lee-Sean Huang and David Colby Reed are the co-founders of Foossa, a strategy and design consultancy with a mission to put the human experience back into the user experience. In what they call “community-centered design,” they fuse science with social innovation to solve problems in a community context. 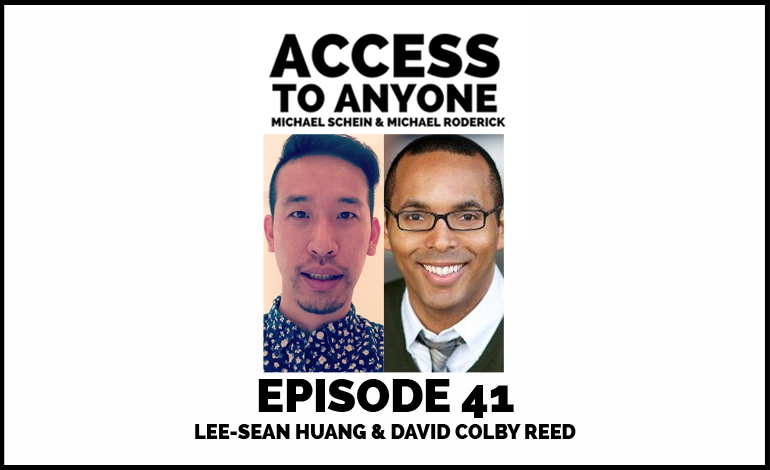 Today David and Lee-Sean talk about design thinking and how its methods translate to the art of networking. Reframing the problem vs. solving the problem. Why research is more about relationships than you might think. Discovering hacks and innovating around them. Applying design methodologies to social issues. Lee-Sean Huang is the Creative Director of Foossa. As a designer, strategist, and storyteller, he collaborates with communities and organizations across the Americas, Europe, Africa and Asia to solve social innovation challenges. His work ranges from redesigning the experience of employee health and wellness at a Fortune 500 corporation to helping agencies of the United Nations. David Colby Reed manages Foossa’s business operations and strategy practice. He combines insights from the behavioral sciences, economics, and user research. Much of his work concerns building inclusive financial services in the US and abroad, and, to do so, he has worked to bridge the public, private, and social sectors.